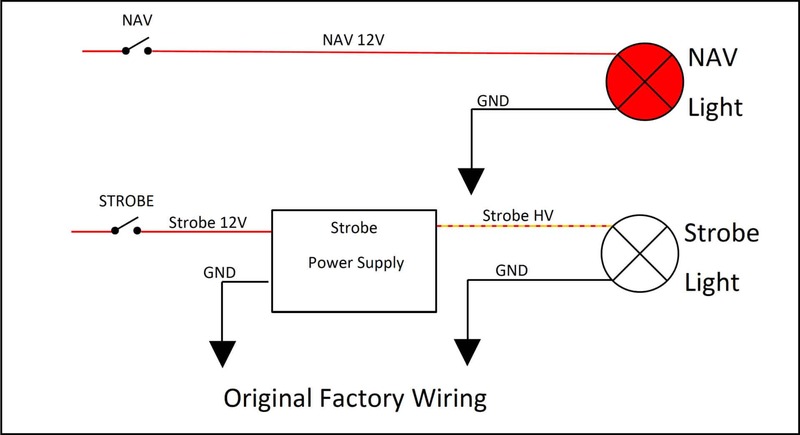 The skyBeacon should never be connected directly to a high-voltage strobe power supply. Connecting the skyBeacon to a high-voltage strobe power supply will damage the skyBeacon. The diagrams below show both the incorrect and correct wiring for utilizing skyBeacon with an existing anti-collision system.